Omar asks how long can we ignore ground realities in Kashmir? Srinagar, Oct 21 (KNS): National Conference vice president Omar Abdullah, Advisor to Governor K Vikay Kumar incharge home affairs, Director General of Police Dilbagh Singh, Peoples Democratic Party (PDP), chairman Peoples Democratic Front (PDF) and MLA Khan Sahib Hakim Mohammad Yaseen, CPI(M) Secretary and MLA Kulgam M Y Tarigami and Chairman Kashmir Economic Alliance (KEA) Haji Yasin Khan have expressed their anguish over the killing of civilians in a blast near a gunfight site in Laroo village of south Kashmir’s Kulgam district. Voicing serious concern over the killing of civilians in Kulgam district of South Kashmir the National Conference Vice President and former Chief Minister Omar Abdullah has said that alienating the people in the fight against militancy is a sure fire recipe for losing the fight. Taking to micro blogging social networking website twitter Omar wrote "Terrible news coming out from Kulgam.May the deceased find place in Jannat. Alienating the people in the fight against militancy is a sure fire recipe for losing the fight. How long can we go on ignoring the ground realities & living in denial about how bad things are in Kashmir?" Advisor to the Governor K Vijay Kumar and the Director General Police (DGP) Dilbag Singh have in a joint statement expressed their deep anguish and regret over the loss of civilian lives in a blast near the encounter site in Laroo, Kulgam. Kumar and Singh expressed heartfelt condolences to the bereaved families who lost their near and dear ones in this tragic incident. Strongly condemning the killing of civilians in Laroo village of Kulgam district during an anti militancy operation today, PDP Chief Spokesperson Rafi Ahmad Mir has warned the government of India of shunning it’s iron fist response to every situation here. 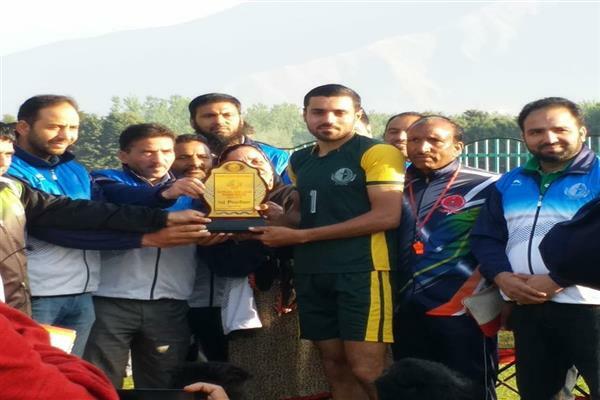 Expressing his serious concern and anguish over the civilian killings in Laroo Kulgam the Chairman PDF & MLA, Khansahib, Hakeem Yaseen sought an immediate end to ongoing violence as the Kashmir is losing its creamy layer of young generation. He has asked both Central and state Governments to engage youth in a meaningful dialogue to meet their urges and aspirations rather than using military might to douse the flames of their anger. He said ongoing bloodshed in the state will lead to nowhere as resolution of every issue lies in the process of dialogue and reconciliation. Expressing pain and sorrow over the killing of innocent civilians in an explosion at encounter site in Laroo village of Kulgam, CPI (M) leader and MLA Kulgam, Mohammad Yousuf Tarigami said the killings have become everyday norm in Kashmir now. “Unfortunately, New Delhi is watching all this like a mute spectator and seems in no mood to address the issues politically. There is a deep sense of alienation among Kashmiris, especially youth. It is this deepening alienation and anger which is driving young and old towards the deadly encounter sites”, he said. 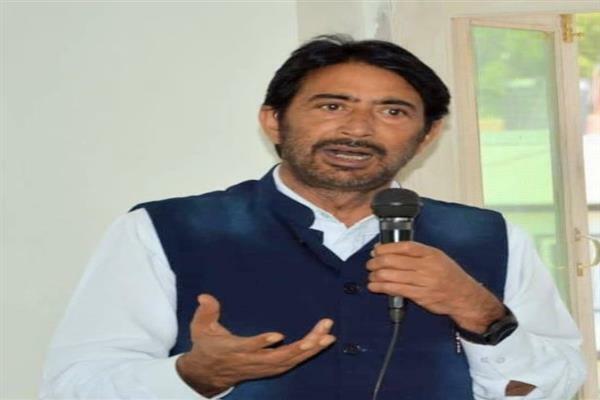 Expressing his deep anguish over the killing of civilians, Democratic Party Nationalist (DPN) president G H Mir demanded a high level judicial probe into the incident that led to the killing of civilians and punishment to the guilty. Mir told KNS “I extend my heartfelt condolences to the bereaved families and stand with them in this hour of grief and shock. 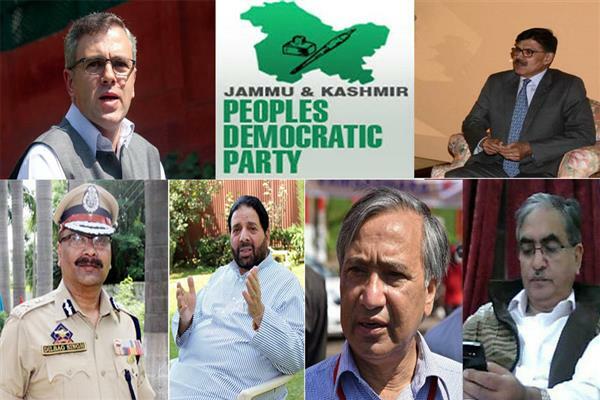 Expressing his deep anguish over the civilian killings in Kulgam the chairman Kashmir Economic Alliance (KEA) strongly condemned the innocent killings in South Kashmir’s Kulgam district which has left almost six civilians dead and dozens seriously injured. Blaming government forces for carrying planned massacre in state, KTMF president termed it sheer cowardice and inhuman act.